Where’s the perfect honeymoon retreat? 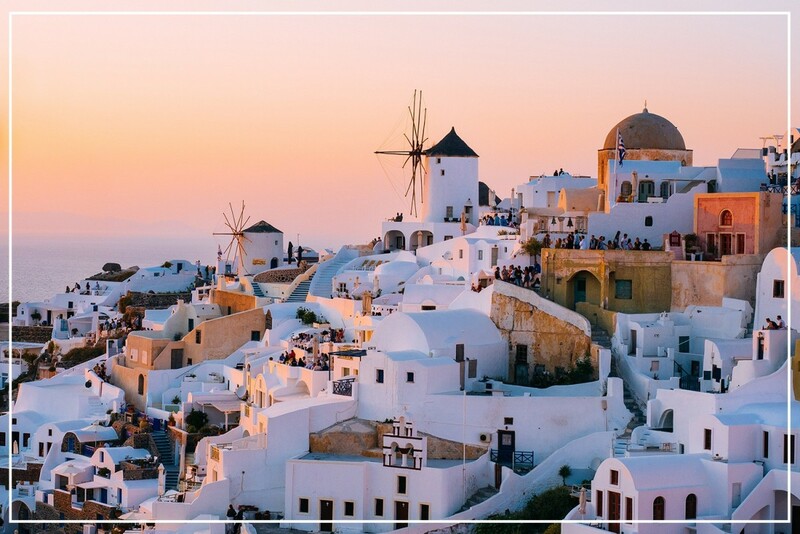 We’ve placed our faith in the Lonely Planet who has ranked the Greek island of Santorini as one of the top ten honeymoon destinations! 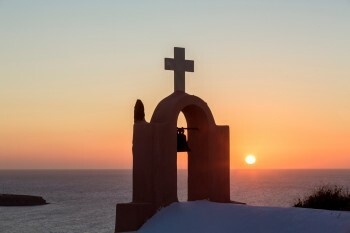 "Santorini’s the sort of spot that might move you to marriage in the first place: visit this Cyclades isle with a beau and you’re bound to leave engaged. This exceptionally beautiful villa is part of a luxury collection of villas situated in arguably the island’s most desirable location, perched above the magnificent cliff top in Firostefani village. 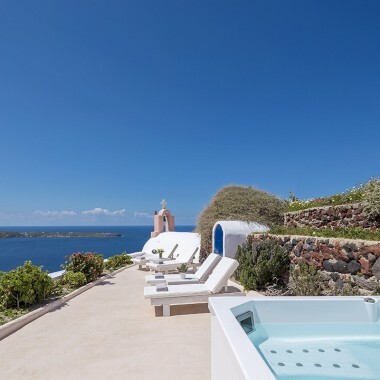 The property benefits from one of the most spectacular views in the Mediterranean, over the caldera and stretching from Akrotiri in the south-west, as far as the stunning sunset views in Oia in the north-west of the island. Tour and reserve your stay here. 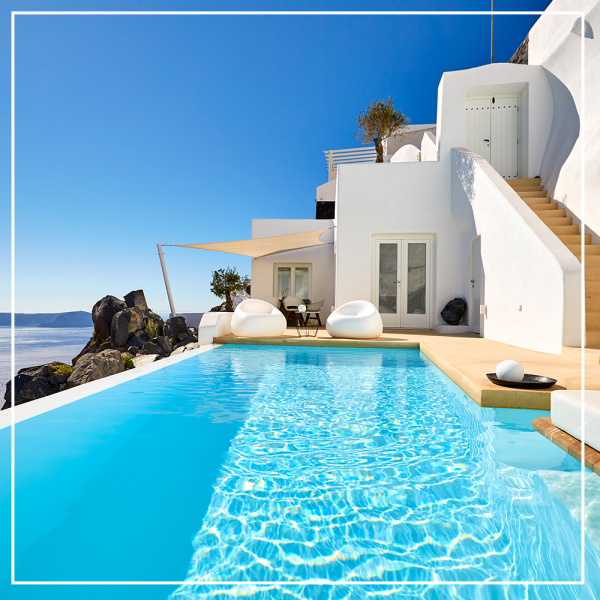 Surrounded by wild rocks and sublime sunsets, this blissful villa guarantees an atmosphere of complete relaxation and unfettered romance. 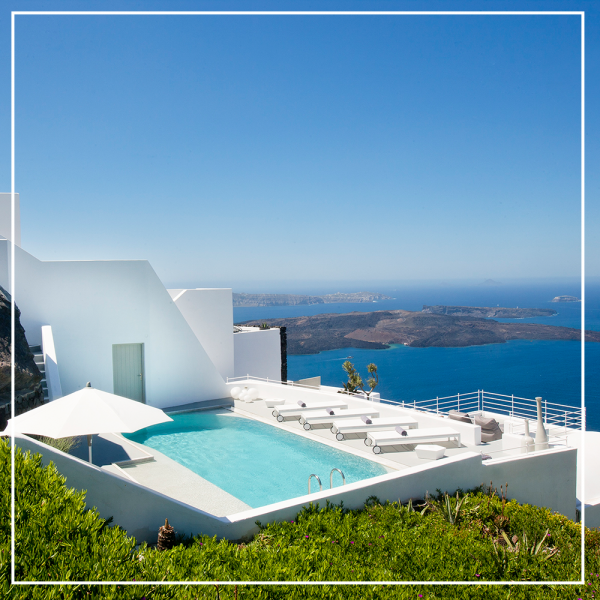 Inside, the property combines tasteful white interiors with contemporary furnishings, while outside an extensive terrace and infinity pool provide the perfect spot to enjoy the panoramic vistas over the Aegean Sea and local village. 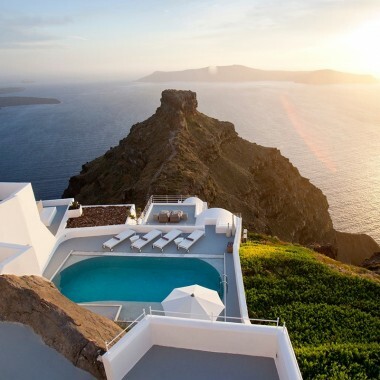 Perched on a cliff-edge in the traditional settlement of Oia, this alluring villa is the ultimate retreat for romance. Take delight in the rustic Mediterranean interiors and relax on the private terrace, complete with its own chroma-therapy Jacuzzi which offers awe-inspiring views of the caldera below. 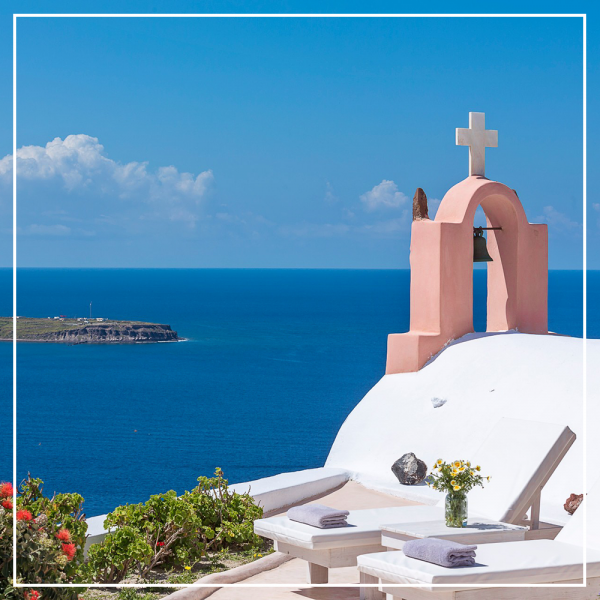 Located on the westernmost point of Santorini near the exquisite Agios Georgios church, this two-story architectural gem is elegantly decorated with vintage artifacts and timeless furniture. Immerse yourself in the indoor Jacuzzi tub and enjoy a glass of Hatzidakis as the soothing sounds of Mediterranean waves and breathtaking sea-views set the scene. 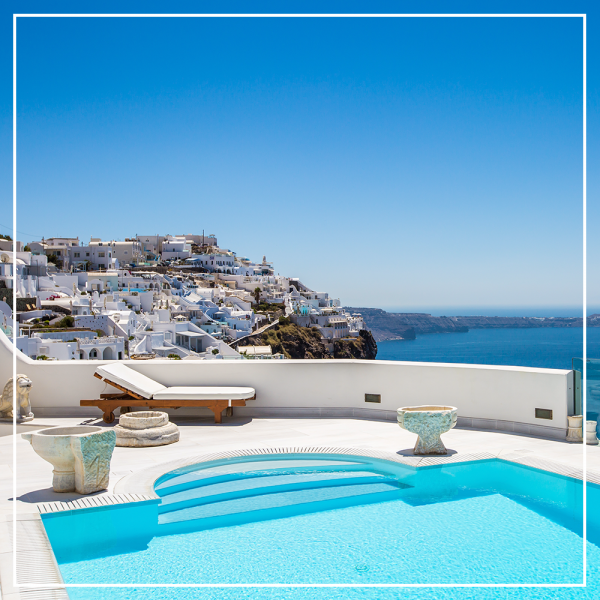 Situated in the picturesque Imerovigli village, this lavish villa offers beautiful views over the famous Skaros Rock and the caldera beyond. Savour the island’s breathtaking sunsets from the champagne lounge, enjoy exceptional modern interiors, unwind in the outdoor pool or blow off some steam in the first-class gym and hammam. 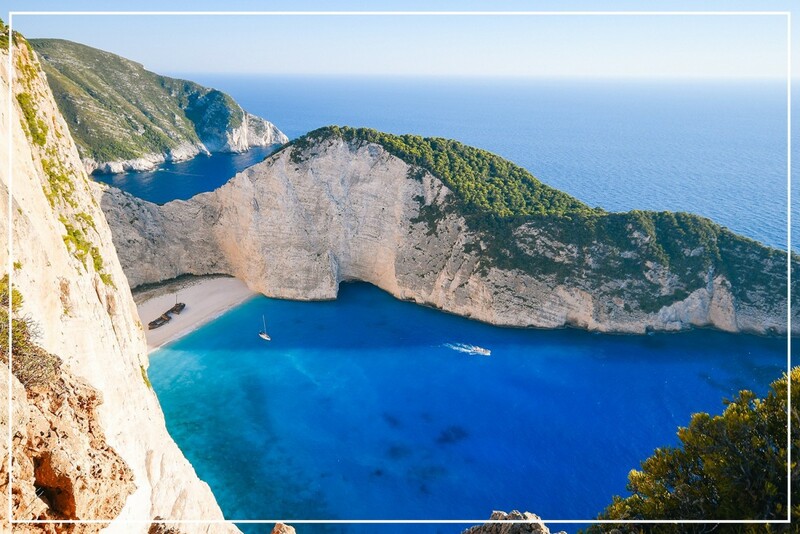 Pictured: Accessed by boat on the Greek island coast of Zakynthos, is Navagio Beach, famed for a 1980 shipwreck resting in a sandy cove framed by the cliffs. 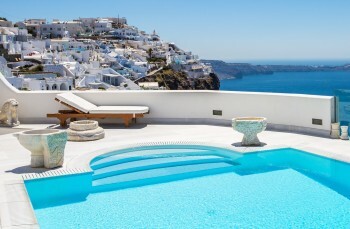 For more Greek island getaways including Mykonos, Crete, Corfu, Paxos, Kea, Hydra, Antiparos, Zakynthos and more, visit: tltb.co/Greece. 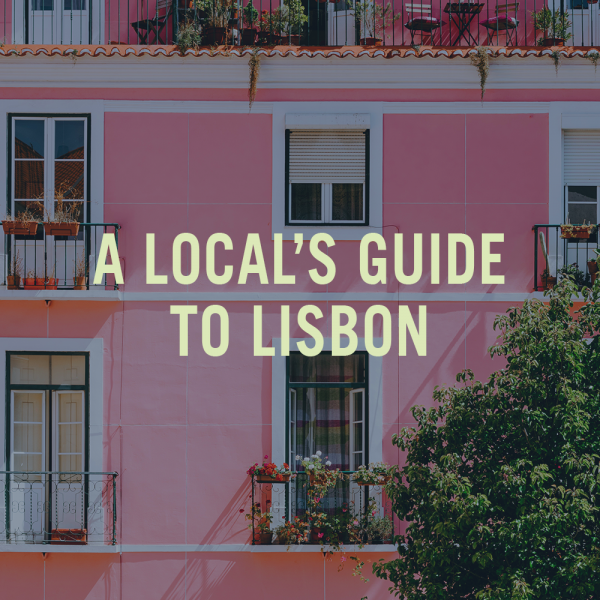 Looking at honeymoons before you've even decided on a wedding venue? 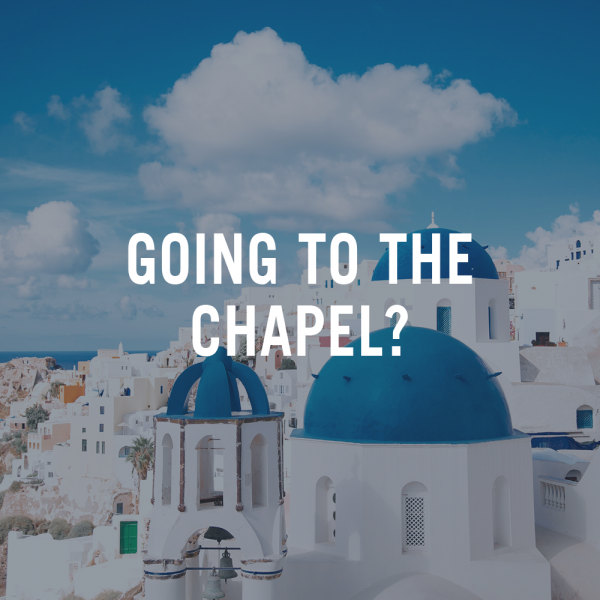 We get it, it's all very exciting and easy to skip ahead, so if you're still on the hunt for a villa to say 'I do', check out the latest TLTB journal entry: Going to the Chapel? 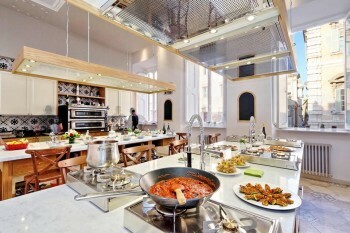 A great Rome discovery for Food Lovers!